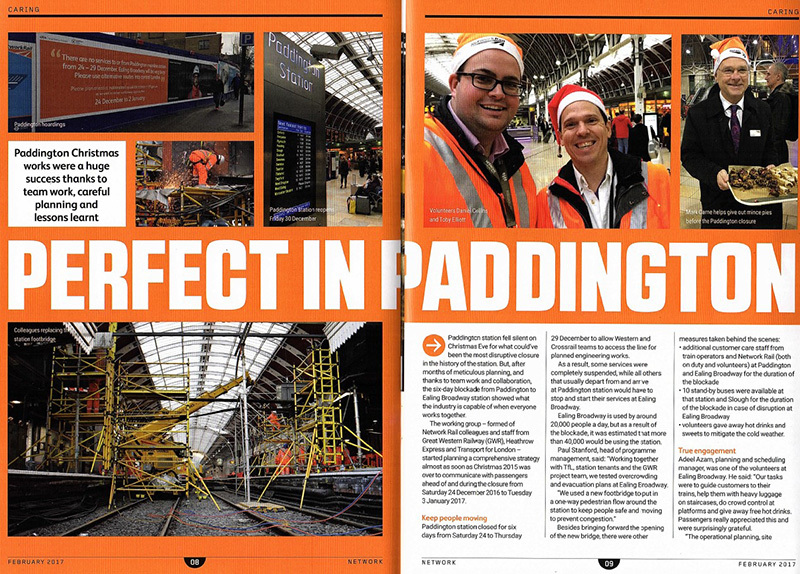 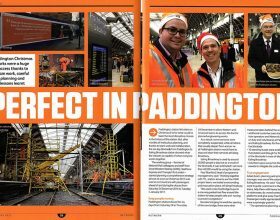 The 6-day Christmas blockade works to replace the historic footbridge over platforms 1&2 at Paddington Station have made their way into this February’s issue of Network Rails ‘Network’ publication. 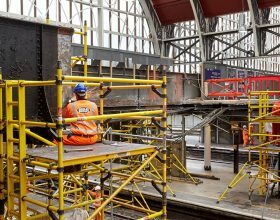 The 3-page article showcases the temporary works, designed by PaSCoE for principle contractor Carillion, in full flow with a fantastic photograph showing with temporary supports, the cut ends of the exposed bridge, and the ornate wind brace. 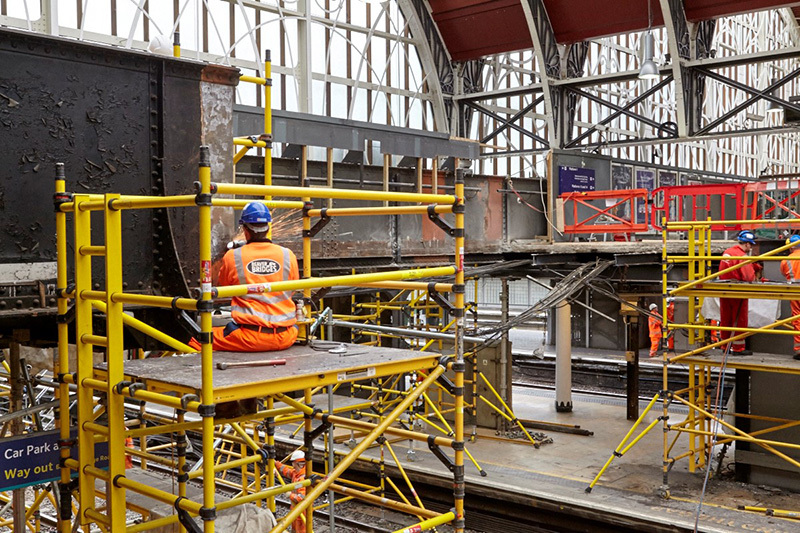 The scheme showcased how careful planning and close collaboration early in the construction works phasing helps to achieve great success – even on the tightest of programmes.